may you have a nice day with family and friends. Nice Birthday with family and friends. Free nice card for man or woman, children. 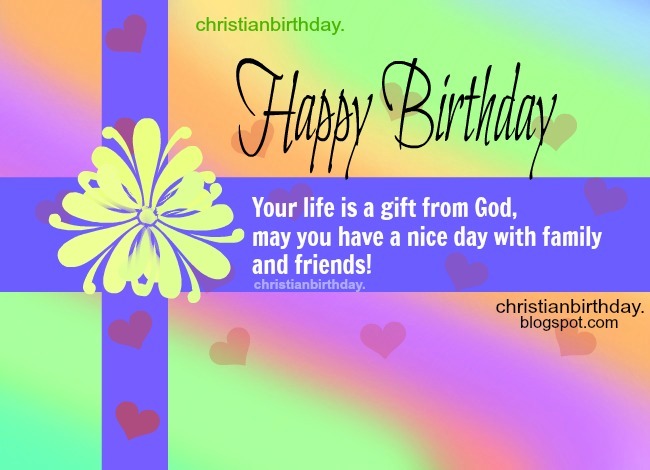 Free christian quotes for birthday messages by Mery Bracho.